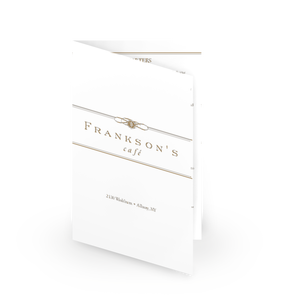 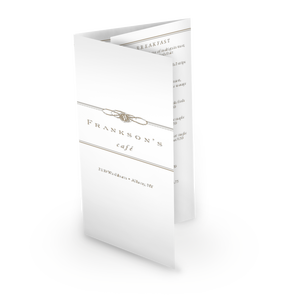 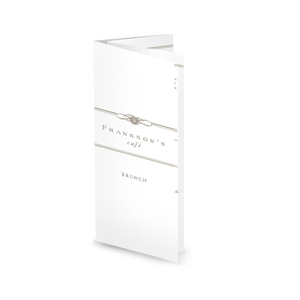 A cocktail menu with a sophisticated brown and white design for the Plaza Cafe design collection. 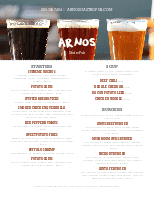 Cocktails, wine, beer, or other bar specials are listed below in a single column. 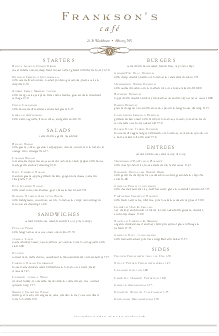 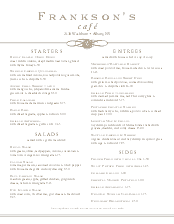 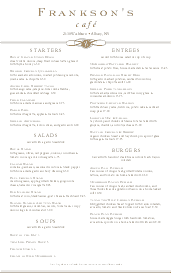 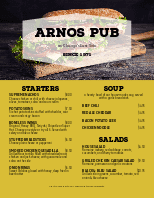 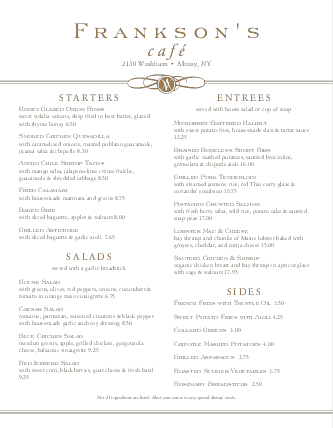 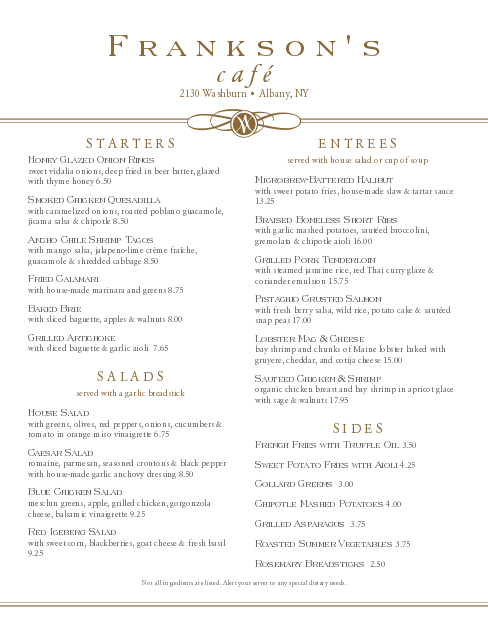 This letter-size menu (8.5 x 11") can be updated with your restaurant details using the Menu Editor.